Muslimo, or ‘Mo’ for short, has overcome adverse circumstances and flourished during her time at YouthBuild, which is why she is our Student Spotlight! 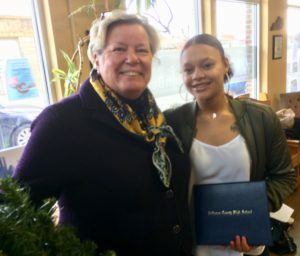 Mo came to YouthBuild wanting to complete her High School Diploma because she had a tough time completing her diploma during her formal education, due to not having the right support system that could assist her with balancing her life as a mother and a student at the same time. Once she got on her feet, she applied to YouthBuild to spark a change in her and her son’s life. When Mo entered our program, she was a very shy and quiet person. She said it took her time to build up the courage to complete school. She used to question if she was making the right choice by coming to YouthBuild. This changed once she realized that YouthBuild would give her the confidence and resources she needed to reach all the goals she dreamed of. Earning certificates and gaining better communication skills helped Mo believe in herself. She also attributes her success to words of encouragement from her new YouthBuild family and close friends. Keishanna was born and raised in the heart of Louisville, Kentucky and graduated from Iroquois High School in 2015. Keishanna has played basketball since 6th grade for her church and schools and still practices with her friends. Basketball was something she could turn to when everything else was going wrong. 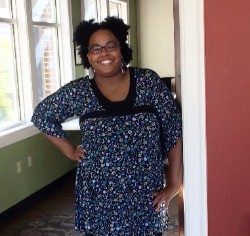 Keishanna wasn’t satisfied with her life, bouncing back and forth from different factory jobs. Doing that for a couple of years made her realize that she wanted more of a challenge in life and knew she had the potential to do something more impactful. She didn’t know where to go or what to do until she heard about YouthBuild Louisville from her uncle and knew it was the perfect fit. At first, Keishanna was always calling YouthBuild, wanting to know if there was a way she could start sooner than orientation. After helping her Grandmother while she was ill, Keishanna gained a passion for helping others. Seeing how she helped her grandmother, Keishanna realized her own potential in becoming a Registered Nurse. 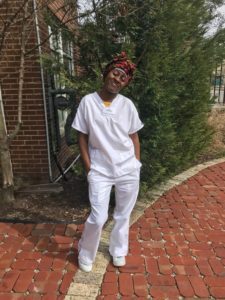 Keishanna was ready to make big life changes when she realized she could receive training in YouthBuild’s Nursing Career Track and become a Certified Nursing Assistant by graduation. Not only does YouthBuild have her ready to start her CNA training in December, but Keishanna is also registered to start college at JCTC, August 2019. By the time she is in college, she will have already completed her CNA training. This experience will help her work towards becoming a Licensed Practical Nurse through JCTC. While waiting to start her CNA training, Keishanna has completed HAZMAT training and will complete OSHA and CPR training in the next two weeks. Keishanna’s advice for incoming students is, “Take advantage of the opportunities YBL offers. You can come and complete your GED, get help with interviews and resumes for jobs, and get training and certification in things like Construction and Nursing.” Keishanna also mentioned that she values the staff and her peers the most at YBL because they are the people who make YBL a reality. Brandon is an alum who stops by from time to time. He graduated in 2004 and represents the earlier graduates of YouthBuild Louisville. He visits to catch up with his friends from YouthBuild and to meet new incoming students. 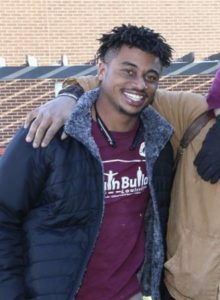 Since YouthBuild helped him get direction in life, he wants to return the favor and be a positive role model for any new incoming students. He wants to be a part of the change our students undergo because he sees the value it brought to his own life. We love when Brandon stops by because he reminds students of what is important to think about when starting the program. Brandon says, “You all (new students) should come into the program open-minded. YouthBuild changes you and it's best to embrace the change. It will result in a positive mindset moving forward. Also, doing things you’ve never done before may be scary but YBL will never put you in a harmful situation. Even if you find the program to be tough, don't give up; there are many different ways to get the same result - try it again in another way. Basically, prepare for a positive life change.” Students never take advice from alumni lightly. We are grateful to have Brandon as a mentor for our youth. After YouthBuild, Brandon went through a lot of training and jobs to get to where he is now as a Dialysis Technician. In the future, he hopes to open up a staffing agency for people interested in becoming a Dialysis Technician. His target group will be young males from the west end of Louisville. He wants to first get his students a technician certificate and then teach them the next steps in what they need to do moving forward. 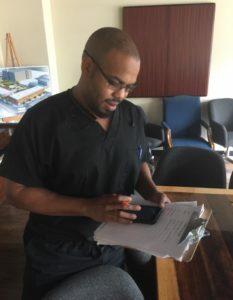 He figures he will teach them everything he had to go through so they can avoid any barriers holding them back from completing the process of becoming a Dialysis Technician. When Brittany Pettway, age 20, entered YouthBuild, she was doing drugs and did not have a high school diploma. Throughout her time at YouthBuild, she has been able to overcome her drug use and earn her diploma. She has even started the process to become a teacher in the Jefferson County Public School system. The closeness of YouthBuild is something Brittany cherishes the most, especially being able to spend time with other students outside of school. Having teachers push her to do her best, especially Ms. Rae, is what Brittany credits as her inspiration for getting her diploma. Brittany’s favorite memory at YouthBuild was getting her diploma, a feat that may not have been possible without some tough love and dedication. Brittany has embraced YouthBuild's values and attitude, “I feel like it’s helped me become a better woman and actually see who I really am outside in the real world,” she said. Elias is on track to graduate and have a job in the Construction Industry very soon. He plans to join the union with McIntyre Construction because of the skills and experience he has learned in the construction program! Elias praised the YouthBuild construction program because students do not just build things to get experience, but they build certain things that will help the youth in the community. By building playhouses and playground equipment, Elias is able to learn occupational skills while helping those around him. He recently was asked to speak at the Playhouse reveal on behalf of YouthBuild! Elias said his favorite memory at YouthBuild thus far was doing his first demolition day with the construction program! He said it was a good way to release stress. YouthBuild is proud of all of our graduates and their accomplishments after leaving the program. Many former students stay connected and update us throughout their journey. Morgana Dockery graduated from YouthBuild in 2002, part of the original first class from YBL. After graduation, Morgana attended Jefferson Community & Technical College where she received her Associates in Applied Science and Medical Assisting in 2008. She became a Certified Medical Assistant (CMA) holding that position for nine years working at various organizations like Family Health Centers and being a part of the team to start the Shawnee Christian Healthcare Center in 2011. Morgana eventually took a CMA position under Dr. Guelda in pediatrics before returning to school at Spalding University in 2015 to get her Bachelor of Science in Social Work. In October, Morgana started her new position at Norton's Neuroscience Institute under Dr. Finizio. Morgana will graduate in June of 2019 and we couldn’t be prouder! In addition to attending college and working full time, Morgana is also raising two sons, Elijah (19) and Evan (13) and has a wonderful relationship with her boyfriend, Laron. She credits her supportive family and friends, as well as her YouthBuild family, with her continued success! Way to go Morgana! 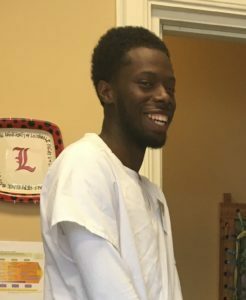 Devontae Pearson is in the student spotlight this month for his exceptional contributions and dedication to the YouthBuild Louisville (YBL) program. After being referred by St. John's to join YBL, Devontae set his mind and efforts on attaining his GED, attending college and getting certifications in Construction and as a Certified Nursing Assistant (CNA). While attending the YBL program, Devontae has been commended for his positive solution-oriented behavior. He is currently working on completing the program with perfect attendance and enjoys participating in group activities such as working on Kosair playhouses. Devontae strives to be a good role model for others, avoiding arguments, offering help where needed, and promoting abstinence from smoking and drinking. In his free time, he enjoys skating, bowling and playing XBOX. Devontae has spoken at YBL's March Building Lives Luncheon and Kosair's Playhouse Reveal. He used these events as an opportunity to be courageous and open up about his personal experiences. His hard work and dedication have earned him the opportunity to participate in this year's French Exchange Program in June where he will go with YBL staff and students to work in the Garden of Versailles for two weeks. Devontae offered his advice to incoming students joining YBL, "Stay dedicated, motivated and show up every day. Waking up every day is all the motivation needed." Devontae's time at YBL has helped him open up to people and strive to help those in need. He has proven himself to be a confident and reliable student over time and is a shining example of what can happen when you try your best to accomplish life goals. An attitude, as defined by the Merriam-Webster Dictionary website, "is a mental position with regard to a fact or state; a feeling or emotion toward a fact or state." The dictionary goes on to state that the word "positive" can be used as "having a good effect; favorable; marked by optimism." Levelle Jackson is the definition of a positive attitude! He tries to make everyone smile and keep their spirits up. He’s using that positive attitude to get ahead in life by getting his GED and certification in construction and going on to college for business or real estate. 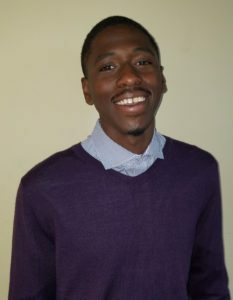 For Levelle, YouthBuild Louisville alumni and his family are the way to success. He wants to change his life and he knows YouthBuild is the way to do that. He advises anyone considering the program, “It’s a good program if you’re serious,” and says it can help anyone get where they need to be to overcome barriers. He’s excited to work on Kosair playhouses and the laundromat building restoration at Duvall's Liquors. Levelle’s proudest moment was the project at Mr. Rob’s house. He loved seeing his reaction and the experience he gained using recycled materials for the work (seeing the television coverage on WHAS11 and WAVE3 was cool too)! With his Jefferson County High School Diploma in hand, Eric Hale, Jr. is beaming with pride! Through hard work and personal dedication, Eric was able to complete his courses and earn the diploma while enrolled in the YouthBuild Louisville program. But the journey was not an easy one, and Eric has worked hard to realize his dreams! Eric was referred to the YouthBuild Louisville program by two alumni of YouthBuild, Kevin Staples and Maurica Williams. “I heard about their experience in YouthBuild and I thought it might work for me too,” said Eric. “When Eric first entered YouthBuild his ADHD and subsequent behavior patterns had prevented him from reaching his goals in a traditional learning environment. This is not uncommon with our students, and it’s something we work really hard to address within our program, but ultimately the students have to put in the work” said Kennina Porter, Program Manager at YouthBuild Louisville. “Eric has experienced a dramatic transformation over these last few months in the program. Initially, he could barely sit still and focus. It took a while for new habits to form, but he really has invested in the process. He’s much more intentional about his interactions and has learned to recognize when it is time to separate himself and work on individual work in order to stay on task. His upbeat personality is now a welcomed trait as he encourages his peers and passionately pursues his goals,” Kennina continued. Eric is one of the YouthBuild students currently enrolled in the CNA Training program through a partnership with Spaulding University. Eric plans to attend Bluegrass Community Technical College and later transfer to the University of Kentucky to complete his nursing degree. It’s been a great few weeks for Eric as he has recently celebrated his 21st Birthday, received his Driver’s License, played in his first game on the YBL basketball team and earned his High School Diploma! Way to go, Eric, we are all very proud of you!